Meet Puddy--as in "I tought I taw a Puddy Tat"! 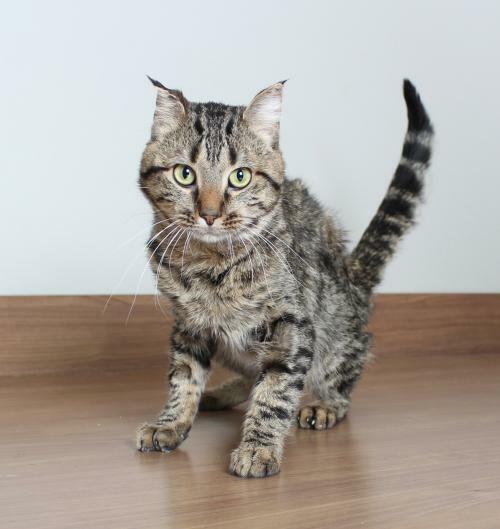 He's a beautiful brown tabby with a loving personality and a little bit of kitten left in him. 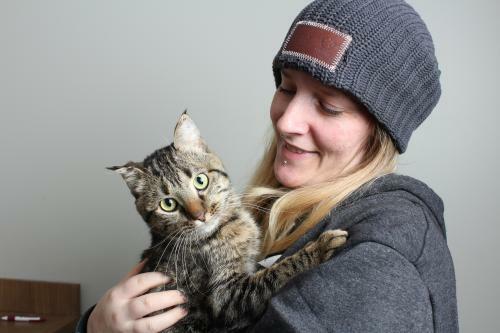 He lost the tips of his ears from frostbite before he came to us and seems soooo happy to have been rescued and have the chance to live in a nice, warm home. He loves to be scratched, doesn't mind being picked up and carried, and greets you at the door when you come home. He's great with his litter box and only talks when he needs your attention but oh man that purr!!!!. Puddy is playful and sometimes gets the "zoomies", racing as fast as he can around the house. He will play with toys as long as you want to play with him and if you stop, he might continue to play by himself if he's not done which is truly entertaining! He will sleep with you at night and won't bother you--he sleeps in with you too! Puddy might not be the cat for your younger kids as his "love bites" are still a bit hard; but he's learning to be gentle. Puddy knows the word "no" and is very food motivated so has been learning not to jump up on countertops. 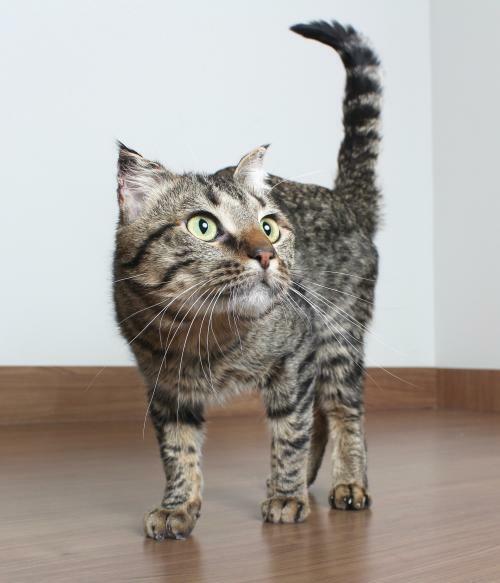 If you are looking for a kitty to be your closest companion with a happy personality, Puddy is the purrfect choice!